For all cowardice is distanced by your shining heart. By which the Martyr blossomed like a date-palm. 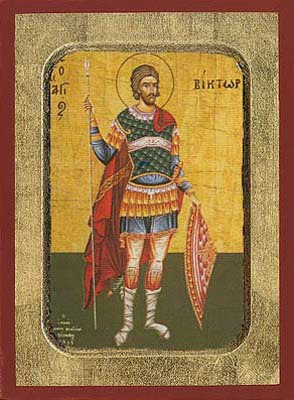 Saint Victor was martyred in Italy during the reign of Emperor Antoninus (138-161) and Duke Sebastian in the year 160. * For refusing to deny his faith in Christ, first they cut off his fingers. They then placed him in a lit furnace for three days, and he emerged unharmed. 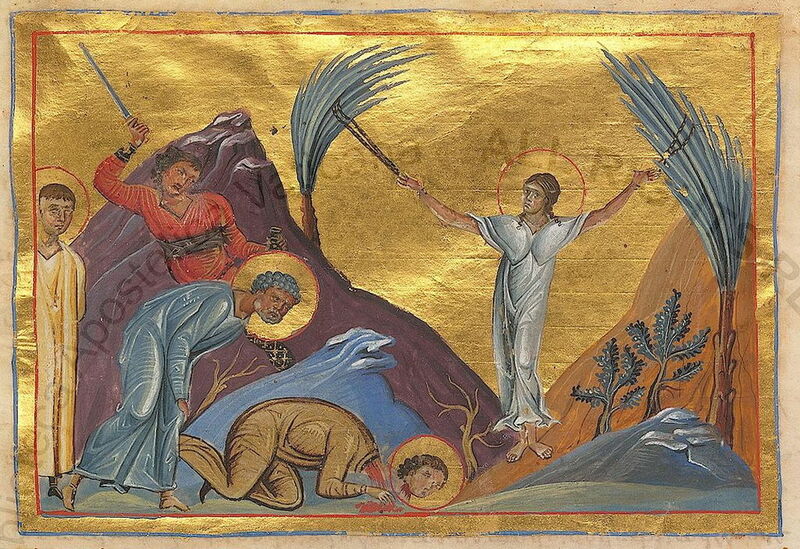 Then he was forced to drink deadly poison, but this did not harm him, causing the sorcerer who administered the deadly poison to believe in Christ. They then tore out his nerves and burned him in boiling oil. Then he was forced to drink ash mixed with vinegar, which was followed by the gouging out of his eyes and hanging him upside down for three days. After this he was skinned alive. Having endured such torture, the brave athlete delivered his soul into the hands of God. 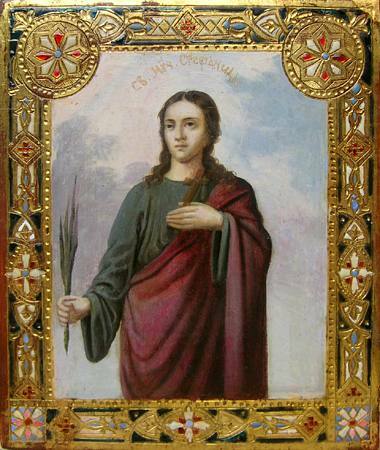 * Stephanie, or Stephanida as she is known in Greek, is also called Corona in Latin, both of which mean "crown." 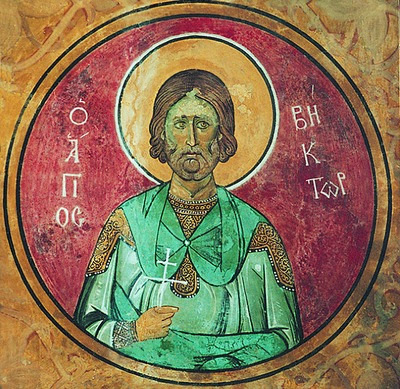 ** This is according to the Synaxarion of Constantinople. Most sources state that they were killed in Roman Syria during the reign of Marcus Aurelius. However, various hagiographical texts disagree about the site of their martyrdom, with some stating that it was Damascus, while Coptic sources state that it was Antioch. 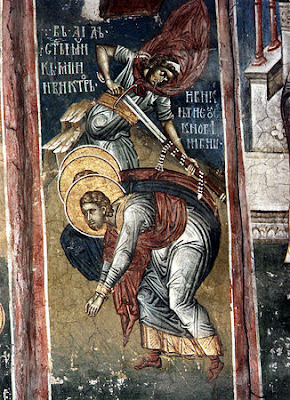 Some Western sources state that Alexandria or Sicily was their place of martyrdom. They also disagree about the date of their martyrdom. 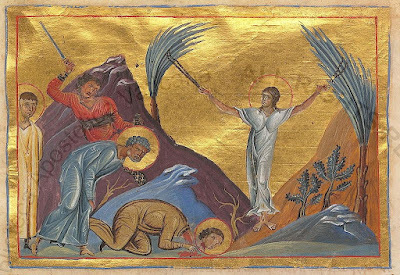 They may have been martyred during the reign of Antoninus or Diocletian, while the Roman Martyrology states that it was in the third century when they met their death. 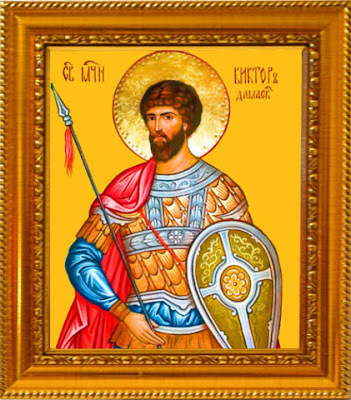 Most commonly it is said Victor was a Roman soldier of Italian ancestry, serving in the city of Damascus in Roman Syria during the reign of Emperor Antoninus Pius. 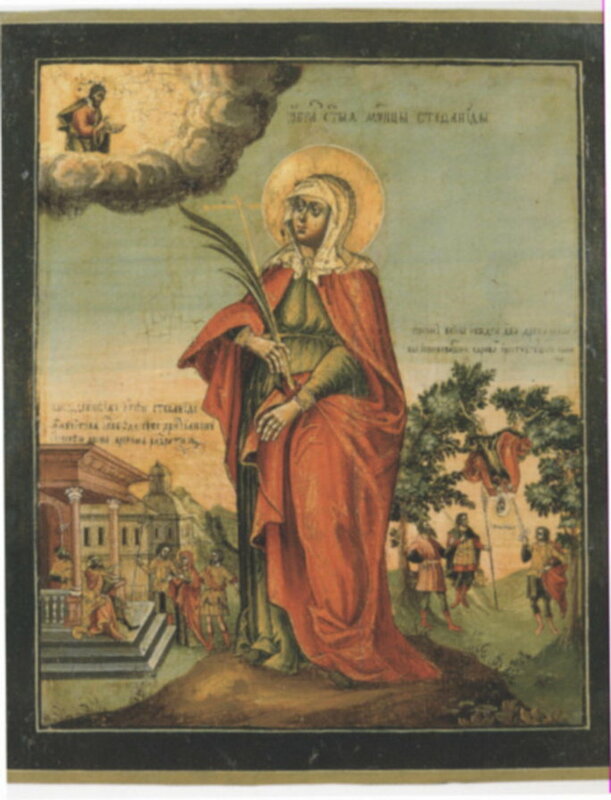 *** It is said Saint Stephanie was 16 years old at this time. **** Stephanie is especially venerated in Austria and eastern Bavaria. She is invoked in connection with superstitions involving money, such as gambling or treasure hunting. Otto III, around 1000 AD, brought Stephanie's relics to Aachen. 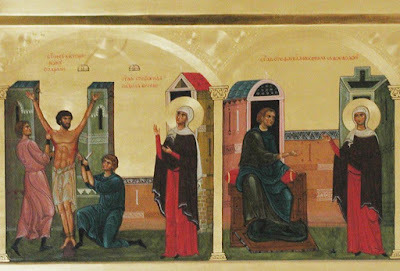 Together let us honour the Athletes of Christ, memorable Victor and noble Vincent and with them we praise divine Stephanie, who by their contests they destroyed the enemy. By their supplications, O Christ our God, have mercy on our souls. 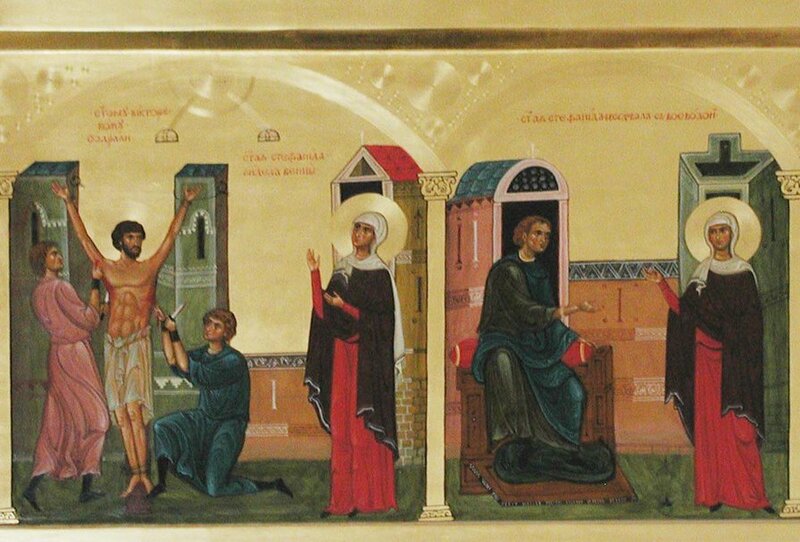 Today the Church honours the Great Martyrs and Athletes, the struggles of Menas, Victor, Vincent and Stephanie. She cries out and glorifies the Lover of mankind.